Former Navy man Fred Briggs now pulling duty in The Villages. Fred and Peggy Briggs are residents of Haciendas of Mission Hills. 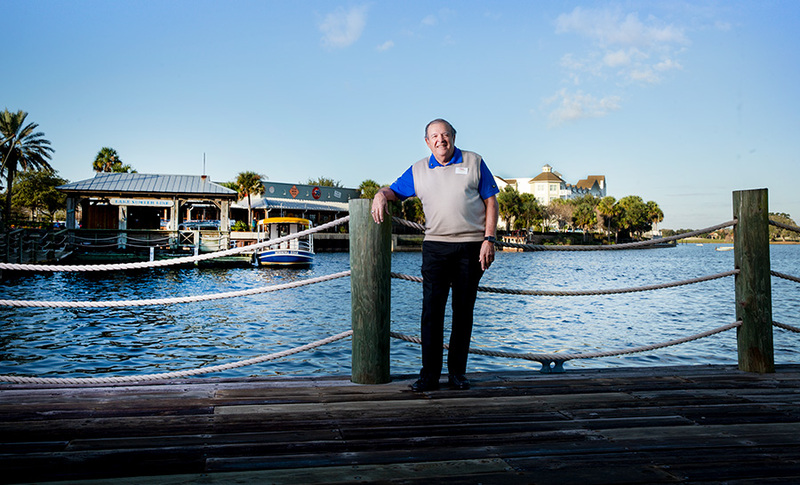 This is his fifth year as president of The Villages Homeowners Association. He helped create the Enrichment Academy and the third annual Country Western Hoedown that’s at the Polo Club this month. Peggy enjoys genealogy and the Boston Red Sox. Fred says his father had wanderlust and wanted to move again, but his mother thought the family should settle in Pennsylvania. The Navy helped him mature, get an education, and learn about leadership and problem-solving. When the Navy wanted to send him out to sea for six-month tours, his then-wife Nancy objected, so he retired. Ken was married to Peggy, and they were the Briggses’ closest Navy friends for years. They all moved together. In 1986, when Ken and Nancy died within a month of each other after long-term illnesses, Peggy and Fred supported each other. Several years later, they married and blended their five children, who were already friends. They will celebrate their 26th wedding anniversary this year.